AUBAGNE — NEOTION announces today that European Pay TV Operator, M7 Group, have selected the latest generation of Conditional Access Modules (CAM) from NEOTION to deploy their next generation DTH services on the Canal Digitaal (NL), TV Vlaanderen (B), Télésat (B) and HD Austria (A) platforms. The NEOTION CAM benefits from the latest CI Plus 1.3 enhanced resources and embeds the Prime Sentinel card-based Conditional Access System (CAS) solution from Viaccess-Orca for content protection. NEOTION will provide M7 Group with dedicated packaging and casing to increase customer satisfaction. 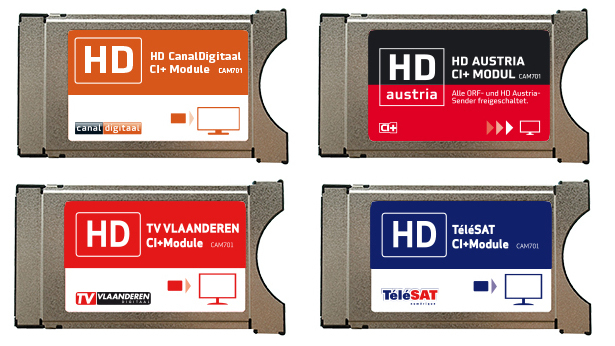 In the short term, CanalDigitaal, HD Austria, TV VLAANDEREN and TéléSAT will be the first platforms to receive the NEOTION Viaccess-Orca CAM. This CAM was specially designed for M7 Group – and is ready to be deployed in any new markets where the new platforms will be adopted. “NEOTION is very pleased to have established an overall partnership with M7 Group. Our CAM has been designed and developed to match with M7 group multi country specific requirements. On top of the fact that we will support them in their switch to Viaccess-Orca encryption, it’s also an opportunity for NEOTION to extend our footprint to address new markets” said Gregory Wieczorek, CEO of NEOTION. “It has been a pleasure to work with Neotion on this project. Once again NEOTION has shown to be very flexible to address our unique requirements. Against very tight timescales they have managed to develop an excellent product which we feel confident will support our continuous efforts to improve our Customer’s experience” said Ron Paans, Technical Director at M7 Group S.A. Along with the consumer product, a Professional CAM operating 24/7 and specifically designed for professional environment will be deployed for M7 Group collective distribution. The device will handle up to 2, 4, 6 and more than 7 services.